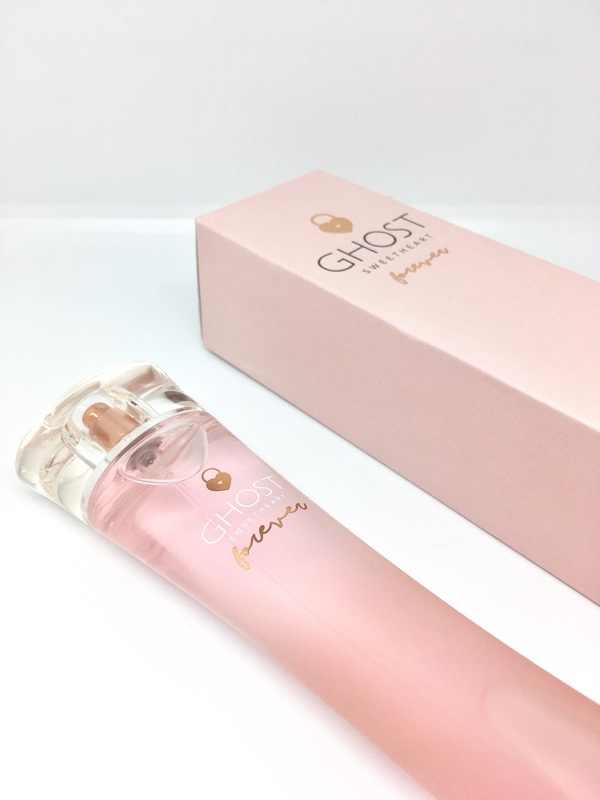 NEW: Ghost Sweetheart Forever - A Giorgio Armani Dupe! If you haven't seen or smelt this perfume yet, get to Boots pronto! I was walking through my local Boots a couple of weeks ago, smelt this perfume and I recognised the smell. I had a spritz and it came to me later in the day.....it smells just like Giorgio Armani's Si, which is £73.00 for 50ml. 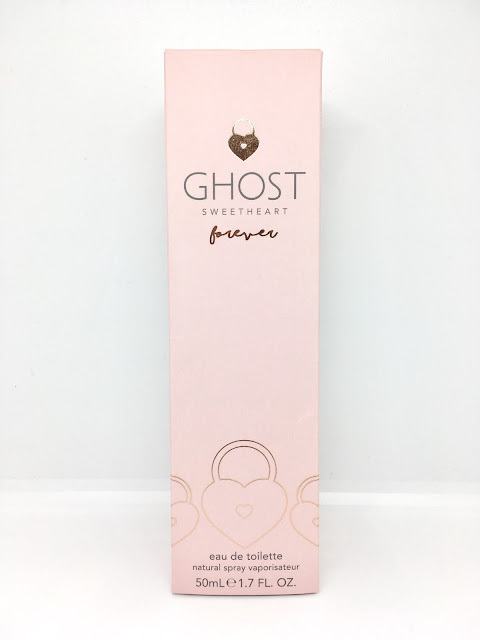 I adore Si and have recently finished a bottle of it, but as the price tag is quite steep I would only repurchase for special occasions, however now I have purchased the NEW Ghost Sweetheart forever I can smell bloody amazing 24/7. "On a sun drenched afternoon, intimate moments captured, forever. Two lovers hand out overlooking the sloping rooftops, gazing up at the Eiffel Tower, getting lost in the winding backstreets of Paris. Longing gazes and sweet scents, excited for what's next.....my sweetheart, forever. Sweetheart forever is a captivating floriental fragrance. Bursting with blooms of delicate rose and white flowers, it follows the unique path of these lovers, leaving an oriental woody trail. Teamed with fruity cassis, zesty orange and delicate lychee top notes, you're lefy besotted, forever in love." 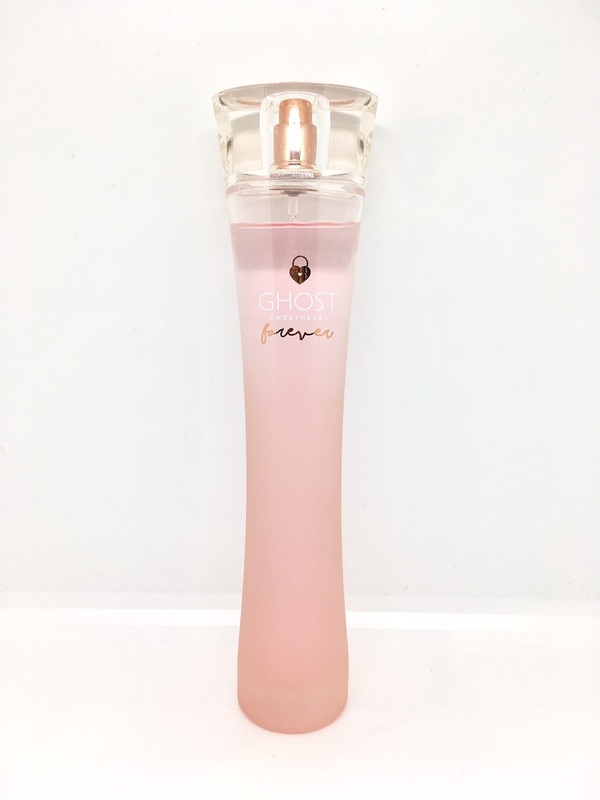 The bottle is extremely pretty and is in Ghost's signature style, making it look gorgeous on my dressing table. I am so so pleased I have discovered it as not only is the price extremely reasonable, it really does smell absolutely delicious too. It's light, floral and the scent lasts all day. I have to admit I have never used a Ghost perfume before, I had a preconception that it was a brand that was slightly dated but this scent is definitely one that anyone would enjoy. I will 100% be buying this as my day to day perfume from now on. Have you seen, smelt or tried this yet?